"Knowledgeable and committed … exceptional dedication to clients"
Jo Eggleton is one of the founding partners of Deighton Pierce Glynn. Jo trained with a firm in Brighton where she undertook cases for protesters, both criminal and civil. She qualified in 1997 and joined Deighton Guedalla in 1998. She became a partner in 2007. Jo is a specialist in civil actions against the police with over 14 years post qualification experience of bringing claims and challenges against police forces across the country. 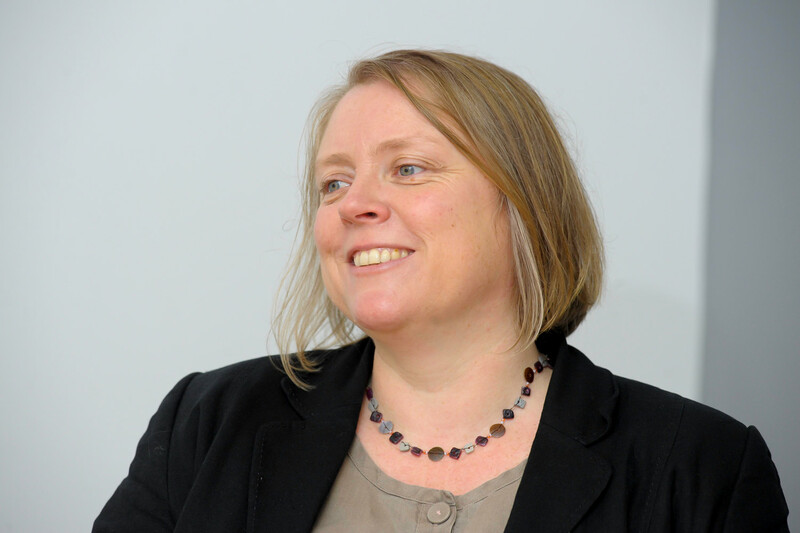 Her work includes the full range of issues in civil actions including bringing damages claims in the county court for discrimination, false imprisonment, assault and malicious prosecution. She has a wealth of experience of achieving successful outcomes for her clients at an early stage, at mediation and at trial. She is also extremely experienced in assisting clients through the police complaint system, including misconduct proceedings, criminal trials of police officers, appeals to the IPCC and successfully challenging their decisions. Her practice has always had a strong discrimination element. She brought one of the few successful claims against the police under the 1976 Race Relation Act before amendments were made to include public authorities. The case concerned the police’s treatment of a victim of a racist attack who was arrested and prosecuted. He was acquitted at trial and brought a successful civil claim. Her practice has expanded to include claims under the Human Rights Act including claims relating to searches of the home; claims against the CPS for failures in prosecutions; and the misuse of private information. Judicial review challenges have become an increasing part of Jo’s caseload since the introduction of the IPCC in 2004. She brought one of the first successful challenges of a decision by the IPCC just a few months after its launch. Jo has particular expertise in acting for young people and entire families affected by police misconduct. She has brought successful claims for a mother and her children who were wrongly arrested and prosecuted; for a father and his three young children and a mother and her infant son following police searches. She increasingly acts for extended families following the death of a loved one. Her recent cases include claims in relation to deaths in prison custody. One concerns a young man with mental health issues who died from suffocation whilst in a prison healthcare wing on hourly observations. Another concerns a mother of two young children who died in HMP Send in 2010. She has also acted for families whose loved one died following contact with the police. She brought successful claims for the extended family of a woman killed when she was struck by a speeding police car. Claims were brought by her husband, children, grandchildren, parents and sisters. The officer in question was dismissed from the force and received a lengthy prison sentence. She has received referrals from and works with Greenwich Council for Racial Equality, INQUEST and Refuge. She is a long standing member of the Police Action Lawyers group and in 2011 co-authored the groups response to the government’s proposed changes to the way civil claims are funded. S & 9 others v The Commissioner of Police for the Metropolis – claims brought by the relatives of a woman killed by a police officer speeding in his police car whilst on a personal errand. The officer received a lengthy prison sentence. The family were instrumental in bringing about changes to police policy and training for police drivers. They also received an apology and compensation. L & 5 others v The Chief Constable of Essex Police – claim by a mother and her children in relation to an assault on her partner a few days before his death. The family each received a letter of apology regarding the subsequent decision to cancel the deceased’s funeral and compensation was paid to the mother. O v The Commissioner of Police for the Metropolis – successful claim for race discrimination and false imprisonment following the police’s mistreatment of a victim of a racist assault. R v The Commissioner of Police for the Metropolis – successful claim for discrimination on the basis of sexual orientation and false imprisonment following a stop and search. C v The Commissioner of Police for the Metropolis– successful claim for damages for near fatal injuries sustained during a police pursuit. B v The Commissioner of Police for the Metropolis– successful claim by a man arrested on suspicion of murdering his partner. R & 4 others v The Commissioner of Police for the Metropolis – successful claim by three children, their mother and uncle for race discrimination, false imprisonment and malicious prosecution.